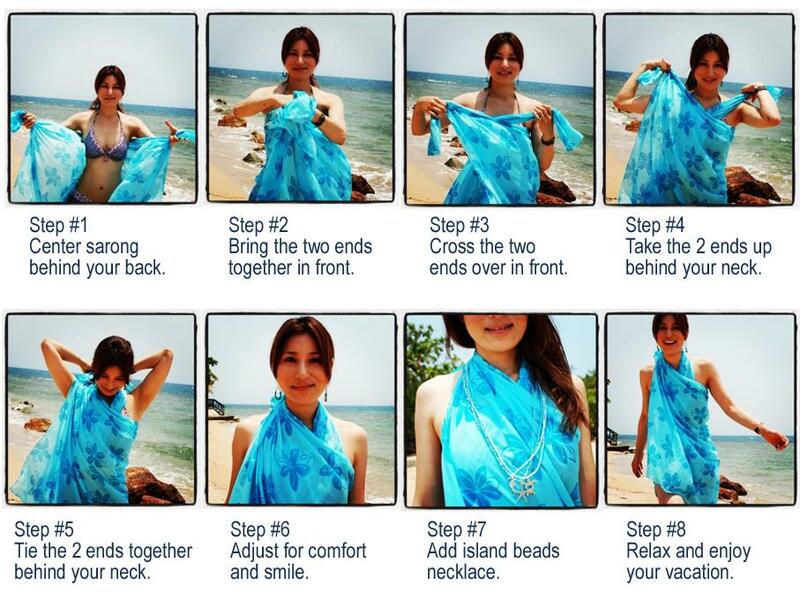 The multiple ways of wearing a sarong or pareo give your bikini ensemble a dressy appearance. These convertible bathing suit cover-ups are the most flexible garments as you are in charge of experimenting with their neckline, sleeves, and length. 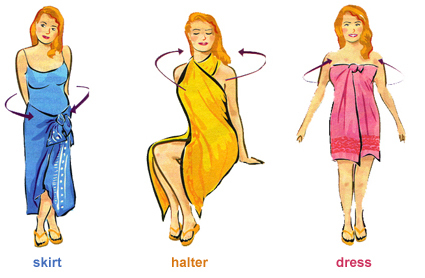 Follow the step-by-step instructions for transforming a sarong into dresses and tops. You may use coconut clip as buckles for further securing the knot. 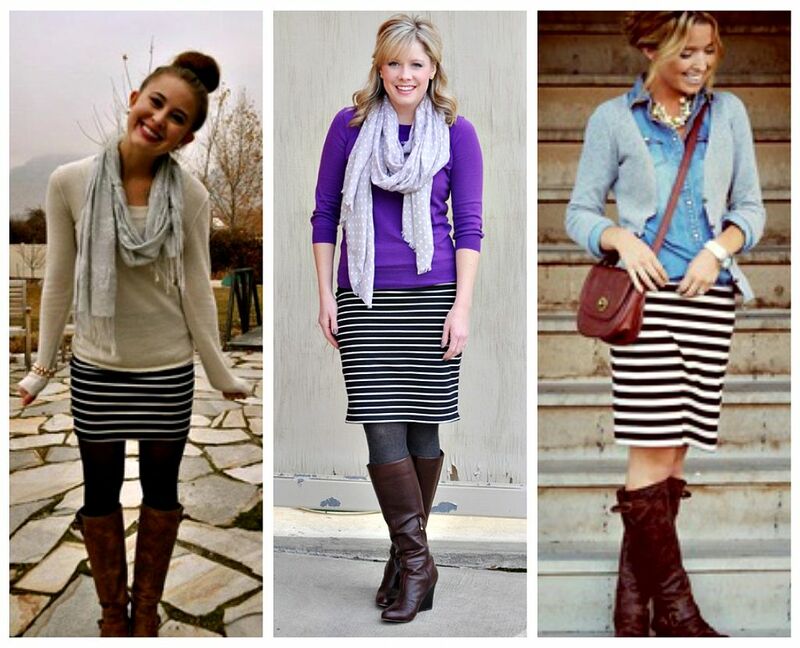 You can make the knot in front as well, but it will have a corresponding slit below it.Instead at the waistline, you can cover up your bodice using the same technique for a strapless tube dress. If you are attending a luau party, then choose a Hawaiian sarong for a suitable look. 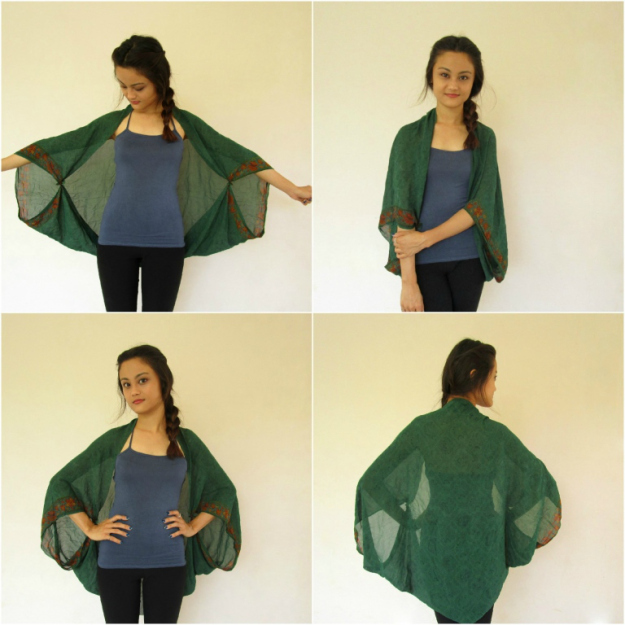 Bikinis, monokinis, and tankinis are a must for your beach fashion, so are sarongs. From playing beach volleyball to attending a luau party, you can spice up your look with different outfits every time with one piece of sarong.